Many coaches focus on the motor development of technical skills and physical development as 'fitness' using drill exercises. Accompanying these activities is an authoritative stance exemplified by an over reliance on prescriptive or 'command' style coaching. Often practice contains nothing that looks like the game players are being prepared to play. In the early mid-2000's I started to use the term Play with Purpose to describe an alternative pedagogical stance to the often common prescriptive and directive instructional style that I observed dominating coaching at junior and senior levels, and physical education teaching. The concept behind Play with Purpose was the deliberate use of game forms and open drills/play practices as learning contexts where the explicit teaching goal is to improve an identified aspect of players tactical and technical game performance. In other words, deliberately improve players 'game sense'. I now understand from research in skill acquisition that 'skilled players' have better anticipation and decision making skills. Skilled players are expert decision makers, and often this ability is a result of accumulating more hours in play and game like activities than the players that have not reached this attainment (Williams & Ford, 2013). Coaching that is over-reliant on drill based activities that lack coherence to the complexity of the game context may hinder the development of players, as the players do not get provided the guided and scaffold exposure to the game action sequences that emerge from the complexity of game play to develop the pattern recognition abilities of the skilled performer (Williams & Hodges, 2005). 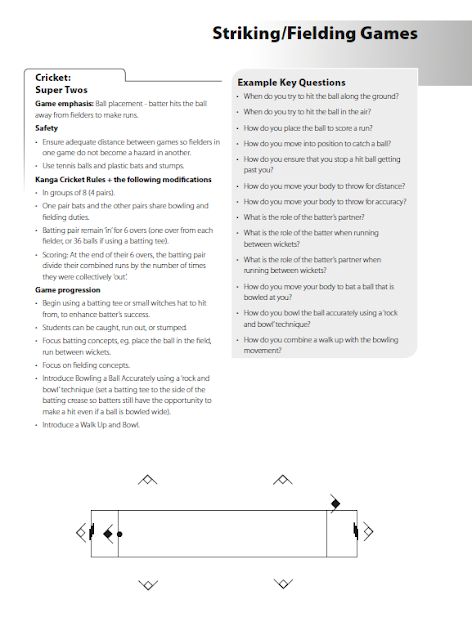 Game-based coaching literature emphasises the main difference between it and directive practice is the deliberate manipulation of games for a purpose using the pedagogy of game modification. The essential characteristics of games are retained, while aspects of the game are exaggerated, eliminated or reduced (den Duyn, 1997). For example, the pedagogical principle of exaggeration can be applied to make a target such as goal bigger to make scoring easier; Goals can be made smaller so that the demands of attacking challenge is elevated. The pedagogical principle of reduction is most obviously observed with the modification of junior sport equipment and grounds/courts to scale them for the physiological development of junior players. The pedagogical principle of elimination can be applied to eliminate players from team numbers to form small sided sport versions. 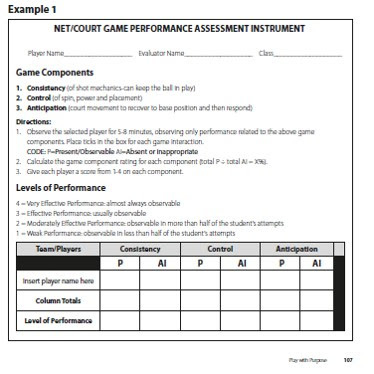 In summary, play with purpose involves beginning the practice design by choosing a tactical concept for the training session, and then designing a game form to begin the game development (junior or novice players) or match simulation (adult or advanced players) engagement with this concept and to be the organising focus of the practice session.